JAPAN: Sharp's LED backlights for Sony strengthen their alliance, while Onkyo gets cosier with Intel | What Hi-Fi? The move will also help the two companies benefit from economies of scale, as part of a plan to turn around their loss-making TV divisions. 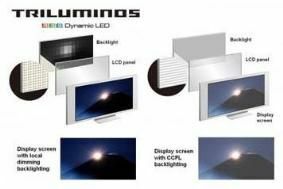 Backlight technology can account for nearly a fifth of the cost of an LCD TV. Sony and Sharp already have one joint-venture LCD TV plant, which started operations in Japan, and it's hoped this move will help the companies co-operate further on future research and development, as well as boosting sales. Together, the two companies currently have just under 21% of the global LCD TV market, while Korean rivals Samsung and LG have 23.2% and 12.7% respectively. Sharp has also announced that its long-mooted joint venture with Pioneer is now underway. The two will be co-operating on the development and manufacture of optical disc technology for both mobile and domestic applications. Meanwhile, Onkyo has announced that it's partnering with US chipmaker Intel to develop future audio and video equipment. The company will be incorporating Intel chips designed for PCs in the motherboards of a wide range of its consumer products, using them for added audio and video processing functions, as well as giving the products internet compatbility. Using existing technology will also allow costs to be reduced, it's said. Intel-equipped Onkyo products will start to appear next year, and the move follows a previous alliance between the two: four years back they started working together on network-ready equipment.